Maybe it’s the appearance of a modest bonus. Perhaps it’s crossing “pay taxes” off my two do list. Whatever the cause, I suddenly have shopping on my brain. At the top of my list? Two specific pieces of furniture. And given my [past?] tendency to buy every damn thing for my apartment from Crate & Barrel, I’m looking for unique things. First, I have been hunting for a long, narrow sofa table on which to display books and other items I have collected along the way. I love this one (below) that I spotted on Etsy. Of course it has sold now that I’m ready to take action. I messaged the proprietor to see what a custom order might cost me. 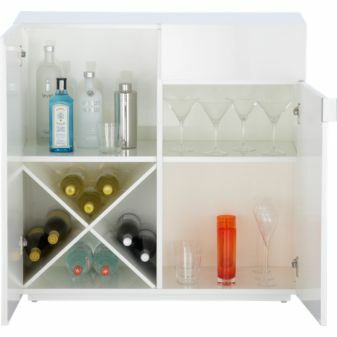 Second, I have an honest-to-goodness need for either a new, bigger wine rack or combination wine rack/bar cart. I presently have a seven bottle rack a friend from high school got me years ago. I have about twenty unracked bottles willy-nilly in my apartment, plus quite a lot of booze. This screams #firstworldproblems, no? I don’t want this bar cart I saw on F*ck Your Noguchi Coffee Table (favorite!). My mother had one like that for years so I have to go in a different direction, right? If I didn’t have this silly “thing” about drinking alone, I wouldn’t have all of this extra wine. But I do. Perhaps it’s time for me to have friends over. If all else fails, there’s always CB2’s Swig (which now comes in blue as well as the original white). It is everything I need and the price is right – I was just hoping for something more original. Although from last year, this blog post provided some good, local spots for me to browse. This entry was posted in Decor, NYC and tagged bar cart, brooklyn, furniture, home decor, nyc, salvaged wood, shopping, sofa table, wine rack on March 20, 2012 by onechicklette. Love love love the table. And the white bar cart is fabulous. You could go with a tiki bar…whimsy! I’m the same way, but I go for books. I have started looking for a new book shelf, has to go behind the couch.